A few days ago a group of Korean students came as a delegation, and during lunch we somehow got on the topic of tea, and specifically, where one could buy some Chinese black tea in Hong Kong. Funny enough, after thinking about it a little, my answer was basically – nowhere. It’s of course not really true that there was nowhere to go. 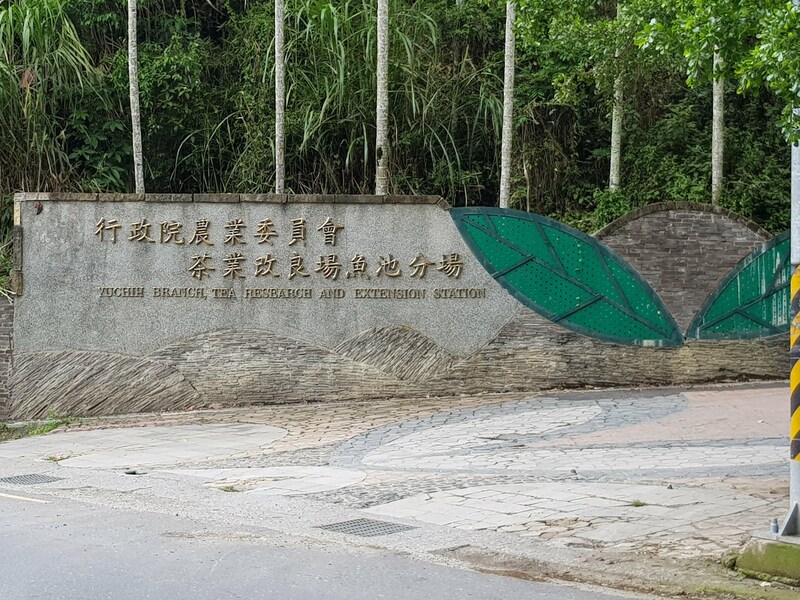 You have your choice from supermarket tea to specialty food stores to specialized tea shops, but a place that I can truly recommend for good, reasonably priced, Chinese black tea? It doesn’t really exist. That in and of itself is sort of odd – after all, Hong Kong is big on tea drinking. However, people here don’t drink much Chinese black tea. 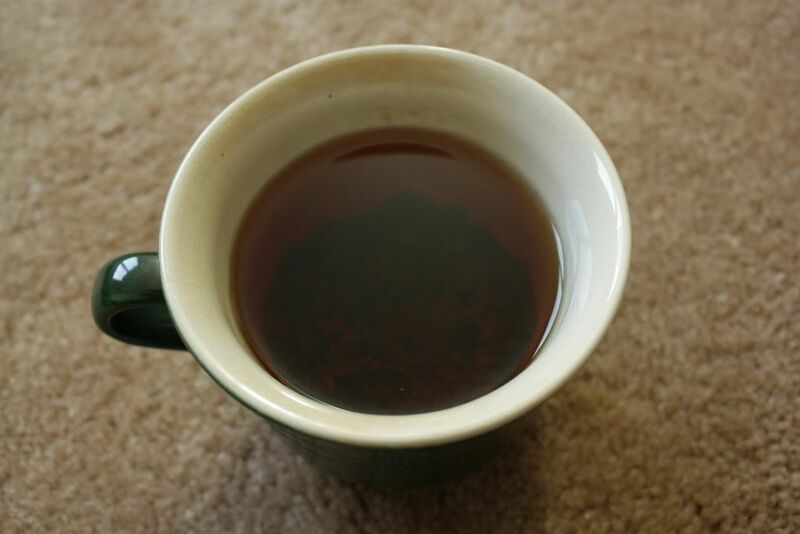 When drinking black tea (hongcha) they generally prefer “western” teas – usually from the Indian subcontinent, but often probably mixed in with stuff from Africa or elsewhere. They are drunk in more formal settings, such as afternoon tea service at cafes and hotels, or they are drunk in the Hong Kong style mixed drinks – in which case the teas are blends created expressly for the purpose, and are usually devoid of origin. They also come in containers meant for food service, like these guys. I doubt anyone wants 2 packs of 5lb teas for home use. So when you want to buy loose leaf black tea, other than the usual suspects at the supermarkets, you have your choice of overpriced foreign vendors and overpriced local vendors. Buying keemun from, say, Whittard of Chelsea, seems exceedingly silly when you’re in Hong Kong. Local stores either don’t stock very high grade black teas, because there’s no real market for it, or they stock reasonable quality ones but then charge you through the roof for it. Also, Hong Kong tea stores are not great for packaging. It’s fine when you want it for yourself, but if you were going to gift it, it’s not so good. Similar dynamics are at play when looking for tea elsewhere in greater China as well. When you’re in Taiwan and you want green tea, you either buy Japanese green tea or you go home. 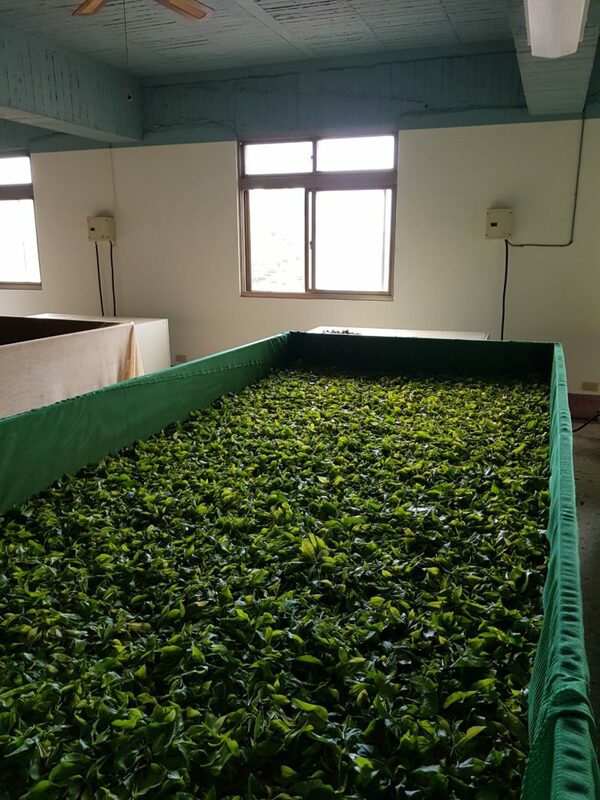 Chinese greens in Taiwan, from what I’ve seen anyway, are in pretty much the same position as black teas in Hong Kong – you can either get really low grade stuff or you can be prepared to be charged through the roof for teas that are often not that great anyway. Local taste is not in it, so there’s no real market demand. 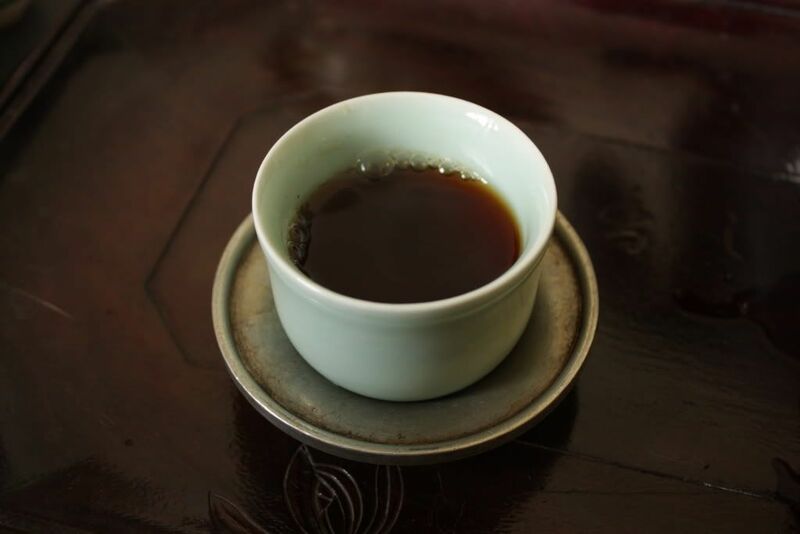 You can say the same for puerh in Shanghai, for much the same reason – much of the puerh I’ve seen there is not great, or too expensive. I’m sure there are more private vendors in Shanghai who deal in this stuff, but as a visitor looking for stores, it’s terrible. In the end, I took the students to a local tea shop that I like and they were quite happy to buy some white tea and some tieguanyin instead. Everyone went home happy. 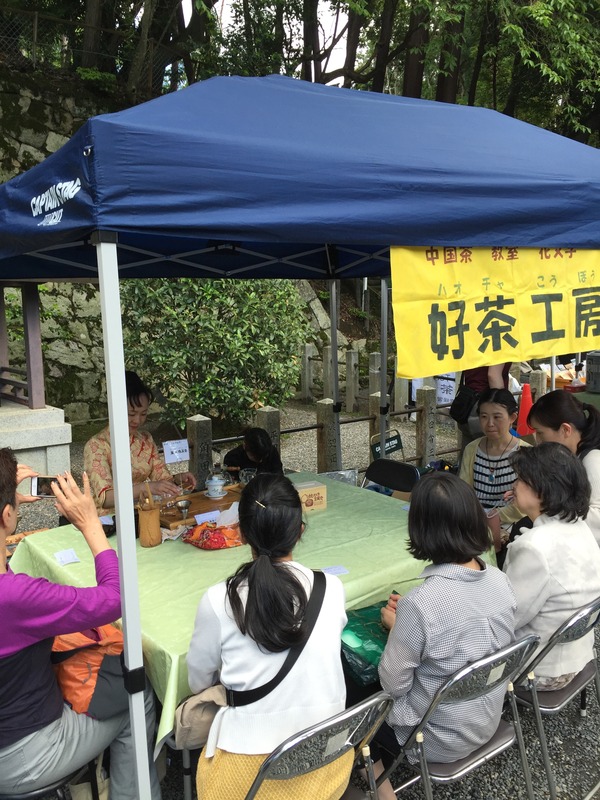 While I was doing research and waiting for my books at the Urasenke School‘s library, I discovered that there was, that day, a tea fair across town at the Yoshida shrine near Kyoto University. Since the library closed at 3 anyway, I decided to hop over and take a look. The Chinese tea they sold and were pushing were mostly oolongs of various sort, with some greens and puerh thrown in. Many are Taiwan based or Taiwan inspired. But I wasn’t here for Chinese tea. The Japanese tea sellers were mostly from the area – selling Uji produced tea. I tried some and bought a few bags, although given my glacial rate of drinking Japanese greens, I don’t know when I’ll ever get to them. 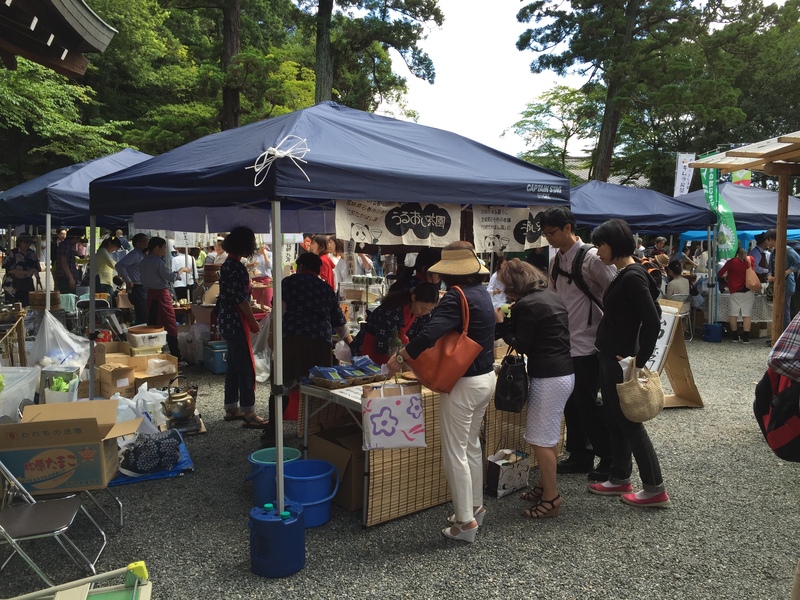 More interestingly though, I ran into a stall with sellers from, of all places, Miyazaki prefecture. Miyazaki is next to Kagoshima, which is now a major producer of Japanese teas, but Miyazaki, relatively speaking, doesn’t do much tea. 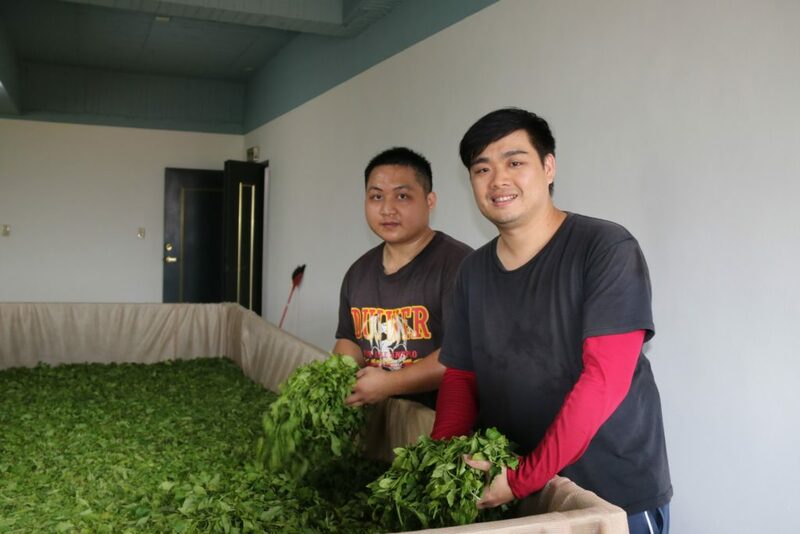 These guys claim to be organic and all that, and more importantly, they make black tea. The few I tried were quite good – one almost reminiscent of Darjeelings. Needless to say, I came home with quite a few bags of tea. 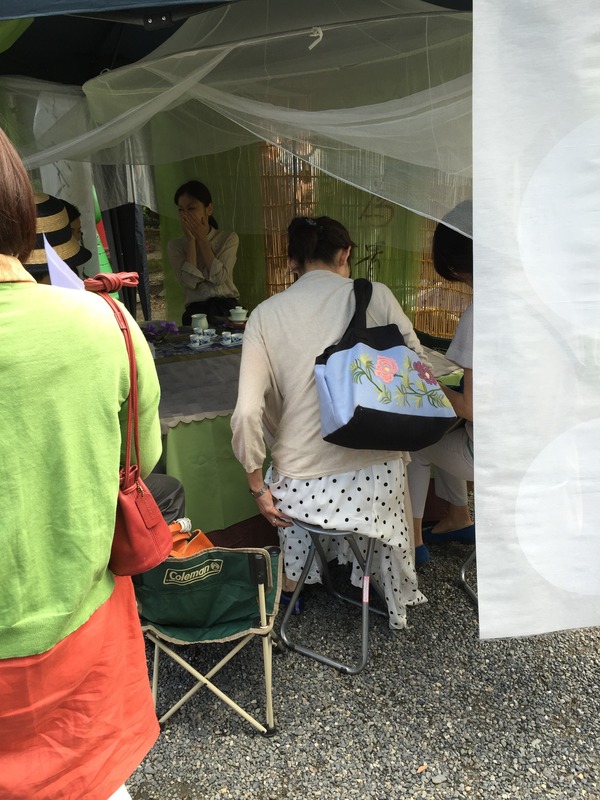 Having a tea fair at a shinto shrine has other advantages too. It’s nicely shaded but still feels like a park, it’s got a hill behind it and I actually hiked over the hill to get to the fair, and it’s reasonably accessible. There was also a sho performance while I was there. There are also some things that I’m reminded of as someone who doesn’t drink a lot of Japanese tea – first, that Japanese greens are brewed strong, and the idea is to coat your mouth with the taste, at least when they make it for you. It’s a sharp contrast with Chinese greens, which emphasize that refreshing lightness. Second, these people shake their teapots violently to get every last drop out. 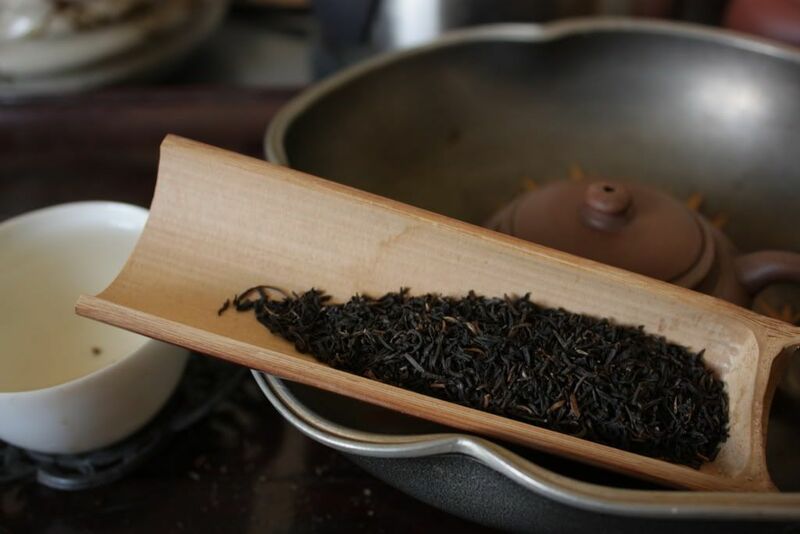 No such thing as a gentle tip – they literally hold the kyusu with two hands and shake the thing like it’s going to drop you money to get every last bit of water out, usually stopping when the last shake produces a lot of tea leaves. Finally, Japanese greens, in the grand scheme of things, are pretty cheap, even decent grade shincha. This partly has to do with the yen dropping like a rock in the past few months, but also reflects how prices have really risen in China, which is the other main source of green teas. They are also so different that direct comparisons are basically pointless. A few years ago, Mr. Rajiv Lochan of Lochan Tea sent me a few really big bags of samples. I’ve had some in the intervening years, but never quite finished any of them despite my best attempt, mostly because I don’t drink black tea very often. Since I’m on the road today, I pulled out the bag labeled Margaret’s Hope Black Tea, and had it grandpa style. The tea, I must say, has aged very gracefully in the four years that it’s been under my possession. I’ve always known that blacks often taste fuller with age, at least in the first year or two, but this tea, drunk in this way, was just really, really nice. Long gone are the aggressive notes that you get with Darjeeling — that bitter bite that comes with the territory of drinking Darjeelings grandpa style is not to be found. Instead, a very welcoming sweetness pervades the tea, coats the mouth, and slides down the throat. 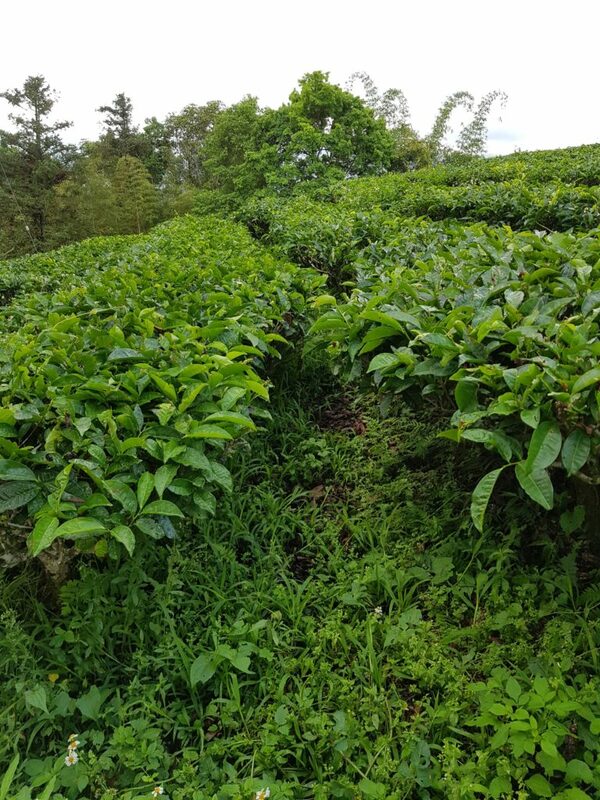 The sweetness is not too different from the type of taste you get from a good, somewhat (but not very) aged puerh — a 5-7 years tea that’s turning the corner. You can still taste the typical Darjeeling scent underneath, but this is much better than, say, a young 2nd flush. This makes me wonder if I should stock up on some Darjeelings and just let them age. Might not be a bad idea, actually. It’s odd. I had some Yunnan gold today, and a slight headache showed up a little after I drank the stuff. That is, in and of itself, not too interesting. Afterall, there are lots of things that can cause a headache. What’s odd is that I normally don’t have headaches, and I noticed that last time when I drank a bunch of black teas (i.e. when I was drinking those Keemuns) I was suffering from headaches during the day. I have no good explanation for it, except that they seem to be correlated — and drinking those teas seem to precede the headache. Too much caffeine too quickly? Too concentrated a dose? Something else? I’ve had caffeine overdose exactly once in my life. I remember it was early in my college years, and I was staying up writing some paper. I had some rather nasty jasmine pearls, and…. well, long story short, I woke up in the middle of the night and my legs were shaking uncontrollably. These days when I drink too much tea, I know, because my heart starts feeling like it’s pounding and I feel as though I want to throw up. It’s not a pleasant feeling, and nothing will really get rid of it. It doesn’t usually happen when I brew tea myself, but sometimes when I go out, it happens. I had to go out and get some things done today, and had two cups of tea while out. The first one was fine — a keemun that was fairly tasty, but not too interesting either way. The second, however, was a killer. It was one of those places that put loose leaves into the paper filter bag, and then brew in a paper cup for you to go. Nothing’s wrong with that, except that he must’ve put about 10g of tea (darjeeling) into a cup that’s about 100ml. Needless to say, after that cup (and I wisely took it out after realizing, 30 seconds in, that it’s too much tea) I was rather buzzed. The uncomfortable feeling showed up, and I spent the next three hours shaking it off. I hope that guy wasn’t paid to try to kill me. Having had some fresh first flush recently from Lochan tea, I can say that the muscatel from this aged darjeeling is much more subdued. There’s a different character that shows up early in the cup — some form of sweetness. The tea is still bitter if you overbrew it, but there’s less of a bite and a little more rounded, I think, than fresh stuff. It’s not quite as aromatic, and will certainly taste a little strange to someone expecting the usual. I do wonder though… are these things ageable? I drank the same tea two days in a row, a rarity for me. The reason is because I completely misjudged the amount of tea I should use in such a small pot for blacks, so I ended up with too much tea (and not enough water). So eventually, I just dumped the leaves out into a mug and drank it that way yesterday. The tea in question is a Keemun I got in Taiwan. 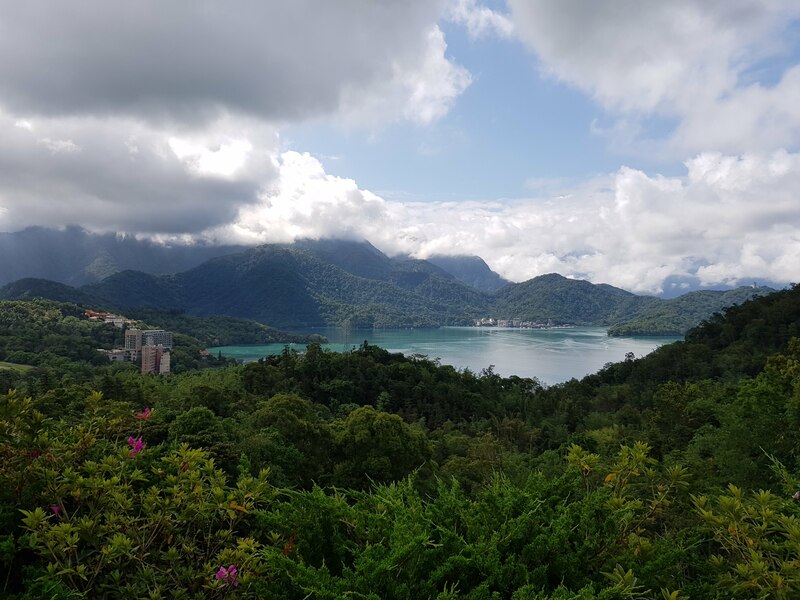 No, it’s not a Taiwanese Keemun… just sold in Taiwan. 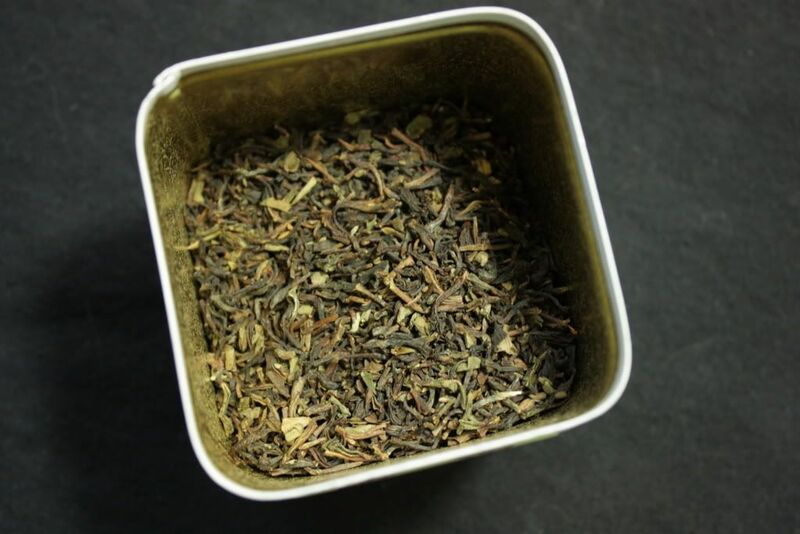 Keemun, like Lapsang and a few other blacks from China, are generally better grade when the leaves get smaller. I remember, almost two years ago, I tried two Lapsang from the same guy but of slightly different grades. The difference between the two was subtle but very present. The differences in price for higher grades of black usually isn’t that much more than the lower ones, and since I drink this stuff only very occasionally, I figured it’s a good investment. I like Keemuns because they are sweet. I think brewing them English style is a complete waste of tea and time — Indian blacks are probably better for that purpose. Using a gaiwan might work best. I am using a yixing pot simply as a way to experiment. It doesn’t work terribly well with the small leaves — the pot gets clogged. I should actually find one of my gaiwans and brew the same tea (again!) in it and see what happens.